You know when people ask you what you want for Christmas and you reply "oh nothing, really" or "just a gift card to Waterstones would be lovely" when really, you have a little list in your head of bits you'd really like, but you don't want to seem demanding or cheeky, just me?? 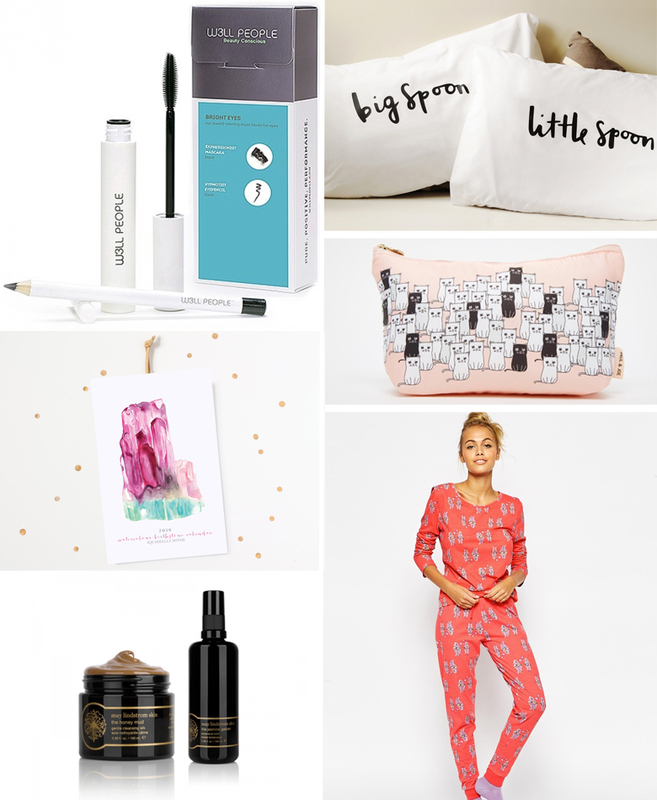 Here's my list of little things I'd love for Christmas this year, if any of my family members are reading (or mainly my boyfriend, who I know was checking my blog and hoping I would post a wishlist when it was my birthday earlier this year but I didn't... this is for you!) *smiling moon emoji*. W3ll People Bright Eyes Gift Set (£26) this set contains my favourite black eyeliner of the past few months and a mascara that I really want to try. Purchased separately these two come in at £35 so it's quite the saving! I've heard amazing things about the mascara so it will be mine... one way or another. Big Spoon Little Spoon Pillowcases (£25) How cute are these pillowcases?! All of our bedding is quite boring and old now so these would be a lovely fresh addition. Watercolour Birthstone Calendar (£15) I love semi-precious gemstones, I love watercolour illustrations and this one is super pretty. No other explanation needed. May Lindstrom The Jasmine Garden (£48) The Honey Mud (£64) a little more luxurious that's for sure, but I can't help it, I must try these at least once in my life. I've read nothing but good reviews and I know from what I've already tried of May Lindstrom that these would be extra special additions to my skincare stash. His & Her Robot PJ's (£24) It's not really Christmas without a new pair of PJ's or slippers now really is it. I think this set is so cute and I love the bright coral colour.